It is no doubt that Marvel’s Oscar winning award Science Fiction movie ‘Black Panther’ has turned to a (black) cultural phenomenon and a joint win for representation for everything within and outside pop culture. More importantly, the Black Panther mover has in no excuse made room in the mainstream sci-fi and fantasy genre for more stories by and for black people. 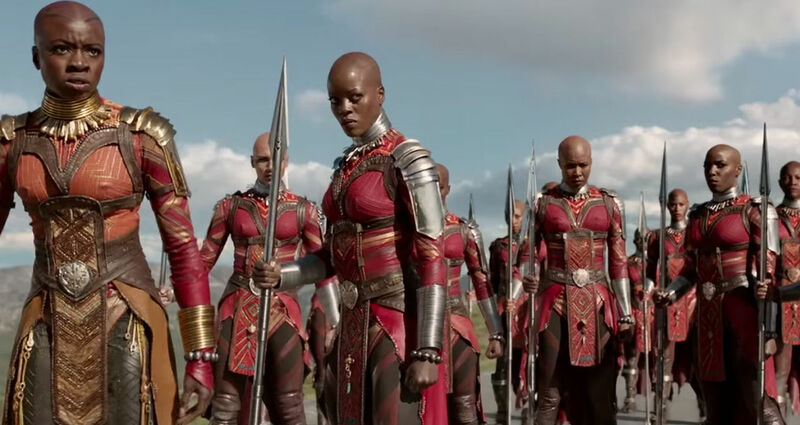 Acclaimed Nigerian-American author, Tochi Onyebuchi, has written an immersive, action-packed, deeply personal novel inspired by Black Panther’s Dora Milaje, called War Girls. “Two sisters are torn apart by war and must fight their way back to each other in a futuristic, Black Panther-inspired Nigeria. The year is 2172. Climate change and nuclear disasters have rendered much of earth unlivable. Only the lucky ones have escaped to space colonies in the sky. In a war-torn Nigeria, battles are fought using flying, deadly mechs and soldiers are outfitted with bionic limbs and artificial organs meant to protect them from the harsh, radiation-heavy climate. Across the nation, as the years-long civil war wages on, survival becomes the only way of life. Two sisters, Onyii and Ify, dream of more. Their lives have been marked by violence and political unrest. Still, they dream of peace, of hope, of a future together. War Girls is set for an opening on October 15, 2019, but you can read an excerpt from the first chapter here; and then pre-order the novel here.